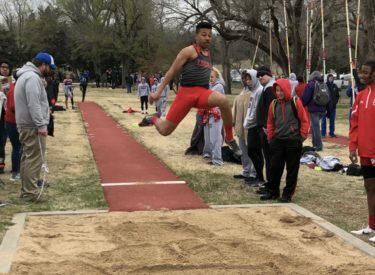 Liberal opened their track and field season at Winfield on Thursday. The boys took second and the girls placed fourth. Here are the team scores and Liberal’s placers. 4×100- 5th Audrey Gilmore, Bailie Garcia, KT Polvon, and Machia Mullens.